Hunter Industries offers quality irrigation products, focusing on the efficiency and conservation of water delivery. From their residential to commercial services, Hunter continues to be committed to manufacturing high quality irrigation products. 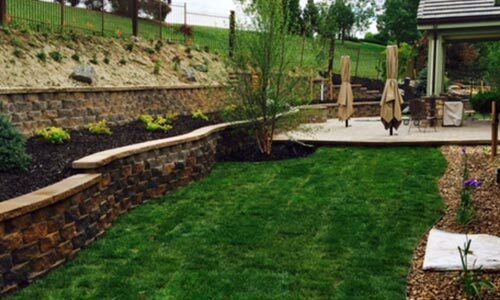 With product lines ranging from general irrigation and landscape to water features and lighting, Colorado Pump & Supply have served the Rocky Mountain Region for 125 years. They focus on providing excellent customer service and professionalism in every project or interaction. Blazing Products have nearly two decades of experience in the irrigation industry and seek to provide products that are designed to increase efficiency, save time, and allow for wider or more practical uses for their products - like freeze-protected drains. Water Solutions is dedicated to working with the best brands and distributors in the irrigation industry to ensure our customers are offered the highest quality products. Increasing the efficiency of your water or sprinkler system is paramount to lowering costs and making eco-conscious decisions. By working with some of the leaders in irrigation efficiency and quality water distribution products we are able to give our customers the highest quality materials on the market. When getting started on your Denver sprinkler installation, if you have a preference in material or product, we want to know! Our team will work to provide you with the products you desire for your home and always offer the best advice for your individual project. Call us today to learn more or to get started on your sprinkler repair project! Get your free estimate and the best advice from our experts.